So, let's just say you are in charge of one of my favorite parts of the Thanksgiving meal....the cocktails! You could either show up with the traditional, if not boring, supply of white & red wine, OR you could really JAZZ things up with one of these ever-so-yummy fall inspired libations and turn this holiday into a festive good time! Take a look at a few of my favorites . . .
~ Mix 2 parts vodka to 1 part buttershots in the shaker (with some ice) to your liking, then pour in the apple cider and shake well–very well–you want the ice to break up a bit and chill the drink. I would recommend 2:1 on the liquors then at least 2 parts cider–but that still may be too strong for some, so adjust accordingly. Be warned: these are strong drinks–just like a classic martini. 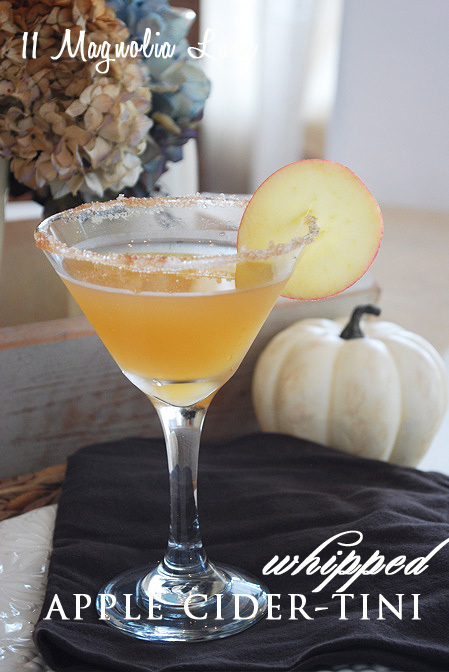 This drink is also a great after dinner/dessert drink because they are on the sweet side. ~ Combine in a quart container and let marinate for at least a day. 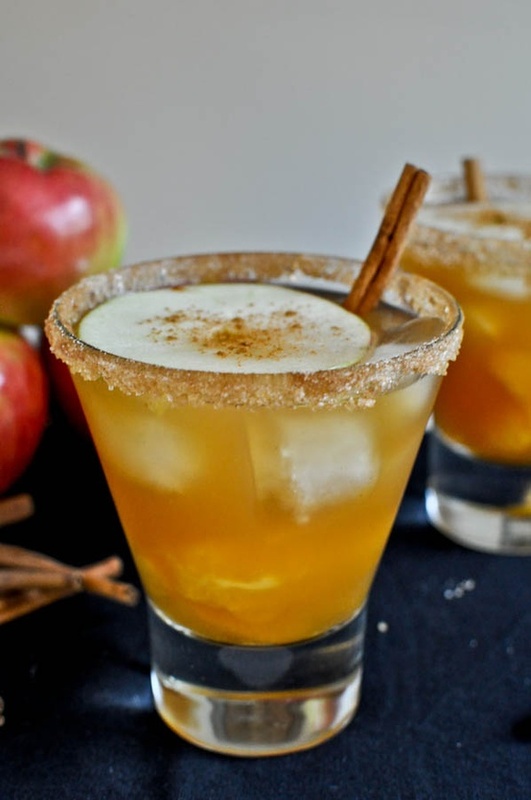 Combine mixture with 2 bottles of sauvignon blanc and 3 cups apple cider and adjust to taste. Garnish with chopped apple. Go on, get crazy with it . . . and have a wonderful one!! The margarita looks delish...though, come to think of it, they all do! Happy Thanksgiving!